Trips is the acknowledgement and validation of every family’s vacation “disaster.” Most, hopefully all, such “adventures” can be viewed humorously when looking back on them. 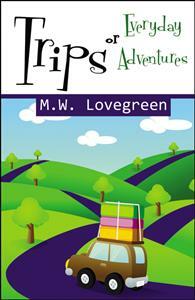 Mike Lovegreen takes the reader along with some of his and his family’s best and most humorous moments. Locally, a vacation misadventure has become known as a “Lovegreen Vacation.” Relive the stories with the author and have them resonate with the vacation experiences you and your family have had. Trips is a literal tribute to every family who steps off the stoop of their home to embark upon the “family outing”.